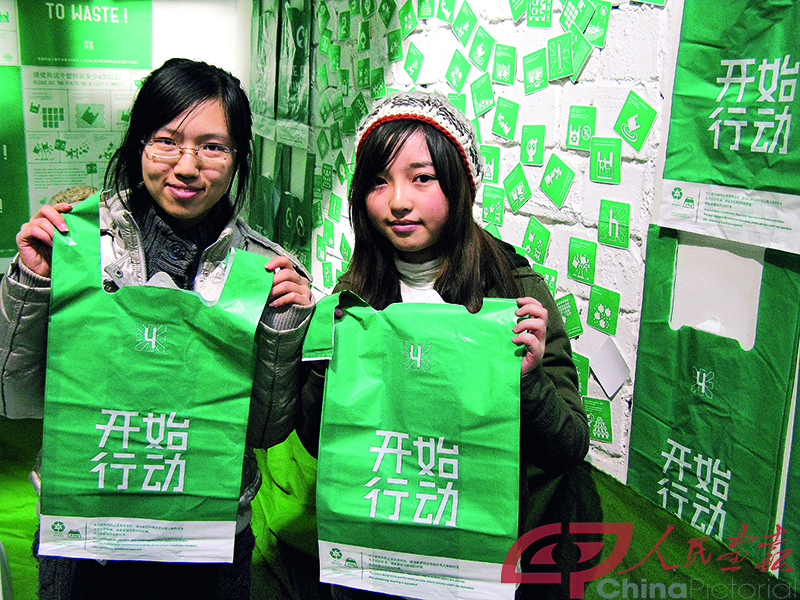 This year marks the tenth anniversary of China’s implementation of the regulation restricting plastic bags. According to the National Development and Reform Commission, the regulation caused the usage of plastic shopping bags to drop by two-thirds in supermarkets and shopping malls from 2008 to 2013—a reduction of 67 billion plastic bags or 1 million tons of plastic. Plastic bag restrictions aim to fight “white pollution.” But as time passes, the enforcement and effectiveness of the regulation have faced challenges. And with the rapid growth of new “Internet Plus” businesses, unrestricted plastic waste has emerged in great quantity. 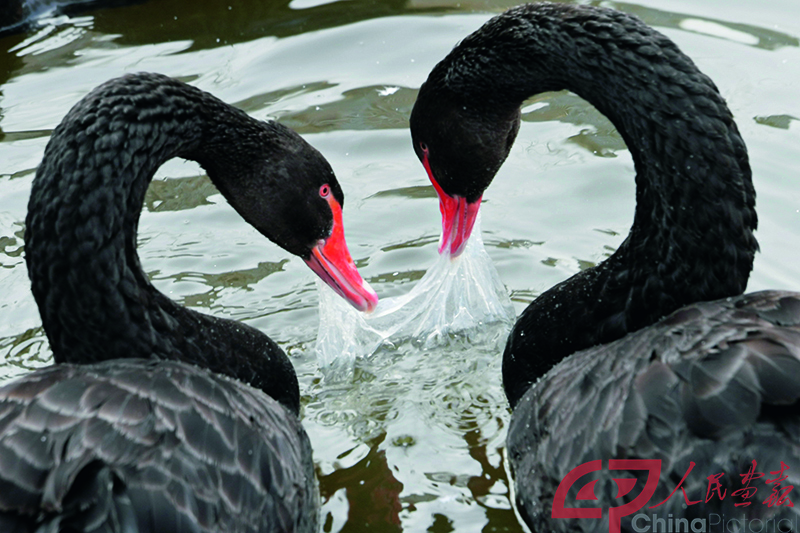 On May 31, 2018, China Zero Waste Alliance under Friends of Nature issued a report on the retailers’ practice of restricting plastic bags. Of 1,101 surveyed retailers, 979 provided plastic bags, but only 89 sold plastic bags with clear marks and qualified thickness. Aside from large supermarkets and national chain retailers, 90 percent of retailers did not charge fees for plastic bags. In regard of the current restrictive regulation on plastic bags, China Zero Waste Alliance thinks there are problems in both pricing and methods of restriction. Presently, a plastic bag costs 0.2 to 0.5 yuan, which hardly becomes a burden on consumers. Many retailers are even willing to provide such bags for free to avoid losing customers. Although some sellers charge fees for plastic bags, they collect the fees themselves rather than leveraging the tax to deter the pollution. Consequently, the “restricting plastic bags” regulation was accused of merely “selling plastic bags.” Unless the environmental costs of the usage of plastic bags are included in their production costs, the affordable price will motivate no one to invent reusable alternatives, and retailers and consumers will continue using them. The survey also showed that although 80 percent of large supermarkets and national chain retailers were charging fees for plastic shopping bags, they still provided free disposable plastic products like flat poly bags and wraps. The regulation only limits plastic bags with handles yet neglects these disposable bags which are also hardly recycled. This resulted in restocking plastic bags with substitutes that skirted the rules. So the total sum of plastic waste may not have dropped but increased. 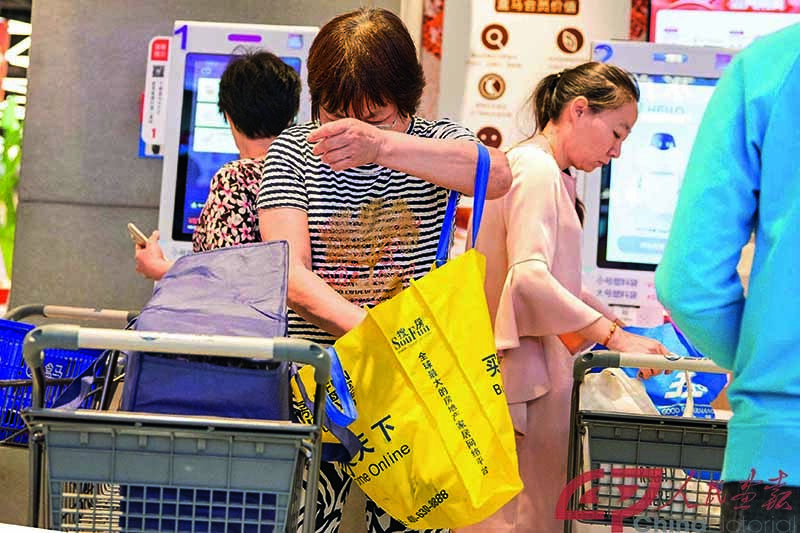 In recent years, Jilin, Hainan and Henan provinces and some regions issued regulations to restrict plastic bags and promote degradable plastics to replace plastic shopping bags and even disposable tableware. Last November, the State Post Bureau and nine other ministries jointly announced guidelines to promote green packaging in the delivery industry, according to which degradable green materials will account for 50 percent of all packaging by 2020. First, degradable plastic is virtually a disposable product. The culture of one-off consumption is the root of the waste problem. Disposable products fuel mass production and massive waste. Disposable degradable plastic products are no exception. Some typical degradable plastics are made from starch. If they are widely used, they could squeeze the land for grain production. And excessive discarding of degradable plastics has also caused serious problems. Second, materials for degradable plastics vary considerably. And degradation requires strict conditions. China presently lacks unified standards or degradable materials. Many degradable packages in the market can only be partially degraded. And the fragmented leftover can even cause more serious problems. Even materials which can be degraded completely can only do so under certain conditions with specific technology and facilities. For example, the degradability defined by European standard EN 13432 requires particular composting facilities. Almost no plastic product can dissolve in the ocean or ordinary soil. Most cities in China have no composting facilities at all. Third, for the foreseeable future, China’s waste sorting system will not meet the requirements to recycle and degrade “biodegradable plastics.” On the contrary, the promotion of degradable plastics could damage China’s progress in garbage classification. The country has promoted waste sorting for many years. But only recently has kitchen garbage become the class requiring the most sorting work. It seems the best choice to compost “degradable plastics” and organic food waste. But actually, some so-called “degradable plastic” products are just partially degradable and some are even ordinary plastics. And because most Chinese citizens have not developed the habit of separating trash by dry or wet, most of them will throw both ordinary plastics and degradable plastics into kitchen rubbish. And the burgeoning segregation of wet and dry waste in China will be destroyed. Additionally, some “degradable plastics” cannot even enter a composting facility. For example, at Beijing’s Nangong Composting Plant, before mixed kitchen rubbish enters the composting workshop, a roller will screen out possible non-kitchen rubbish and it believes by default that all plastic bags are not compostable. So, degradable plastic bags will end up with ordinary plastic ones. So, considering the production technology and standards for degradable plastics and the realities of waste classification in China, it should be prudent to make all plastic bags degradable. Related government departments have raised plastic restriction regulation high on the agenda. In January, the National Development and Reform Commission used “restricting some plastics bags, replacing some and regulating some” as a guideline to solicit advice on controlling plastic waste. First, charging producers rather than consumers for any and all plastic bags should commence as soon as possible. Plastic wrap and bags will still become waste, so the authorities should investigate the environmental cost of these kinds of products and then list them as dutiable pollutants in the Environmental Protection Tax Law or require their producers to pay a garbage disposal fee which could become a special fund for managing plastic pollution. The fundamental principle should be “including the environmental cost into production cost.” Tax revenue can be used to subsidize research on alternatives, thus creating a virtuous circle. Second, the restriction should expand to all plastic wrap and bags and introduce “negative list” management. The authorities should research mixed rubbish in the recycling system, landfills and incinerators as well as disposal methods outside the formal system to identify which kinds of plastics account for the majority. And then according to alternative plans, the authorities should formulate a list of forbidden and restricted plastic products and gradually expand the list based on maturity of alternative options. Third, the authorities should set limits for the total quantity of plastic wrap and bags entering the market and adopt a market access system. By doing so, the government can regulate production of plastic wrap and bags through administrative approvals. Only disposal plastic wrap and bags that are recyclable can appear on the white list and enter the market, preventing the popularity of alternatives such as low-quality non-woven bags. Fourth, the authorities should encourage innovation while being cautious about alternative materials like “degradable plastics.” Non-disposal packaging and innovative carrying methods—like lending a cloth bag with a cash deposit, durable and recyclable delivery boxes and shops without packaging—should enjoy preferential policies. The government should subsidize reusable alternatives that invent durable package for use in offices or warehouses. The author is director of the policy department of China Zero Waste Alliance under Friends of Nature.